Some fraudsters steal while dying. What’s their motive? Possibly to avoid leaving their family with medical bills. Whatever the reason, it’s a strange thing. Today we visit a fraud that I encountered over twenty years ago. In one of the stranger frauds I’ve seen, the bookkeeper of a small health department, Susan, stole money. And she did so while she was dying. In the last months of her life, she fought a battle with cancer. In between the chemo treatments, she continued her work. I’m sure she believed she would survive. After all, she was only thirty-six. I had provided external audit services to this health department for years and knew Susan well. She sent me thank-you cards–yes, thank-you cards–for my audit work. She was polite and great at her job. If ever I thought there was someone who would not (and could not) steal, it was her. But external circumstances can make the best of people do the unexpected. The medical treatments resulted in numerous medical bills, many of which she received while still working. She died just before my annual visit for the audit. Knowing that Susan had passed away, I knew the audit would be challenging, especially since the health department board had not hired anyone to replace her. Upon my arrival, I requested the bank statements, but the remaining employees could not locate them. I thought maybe she had taken the bank statements home and had not returned with them due to her illness, but that was not the case. After the employees searched for some time with no result, the health department requisitioned the bank statements and cleared checks from the bank. 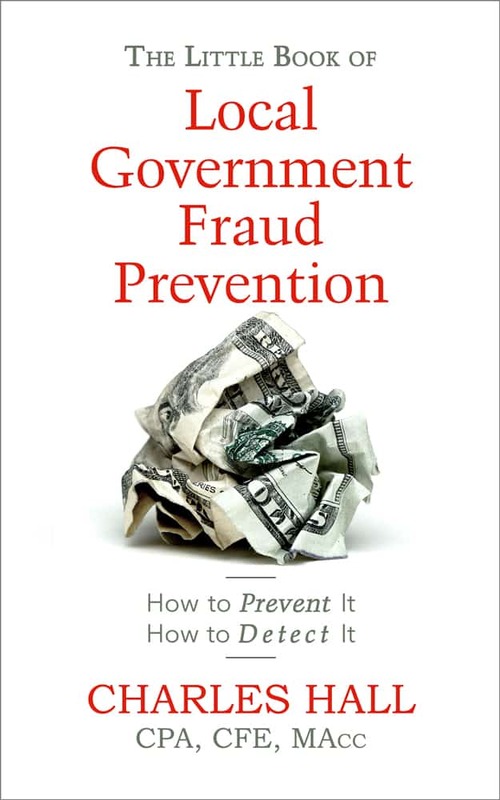 Are you noticing a recurring theme in the 30 Days of Fraud? Yes, a lack of segregation of duties. It’s fundamental. One person should not be allowed to do everything. Segregate the accounting duties. Most importantly, Susan should not have been on the bank’s signature card. Additionally, someone other than Susan should have been reconciling the bank statement and examining cleared checks. For small organizations, have the bank statements mailed to someone outside the accounting department (e.g., a board member). This outside person should open the statements and review the cleared checks—then the statements should be sent to accounting.